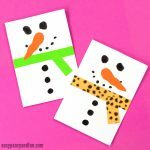 Time for a wonderful kids made Christmas card! 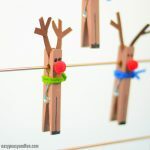 This super simple reindeer Christmas card is insanely easy to make and thus suitable for kids of all ages. Depending on the age of the kids, you can even modify the process a little bit to make it even easier (or harder). 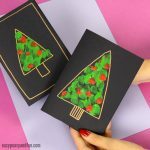 We will be sharing a ton of cool DIY Christmas card ideas this year as we really thing giving (or sending) a traditional card still gives that warm and fuzzy feeling. 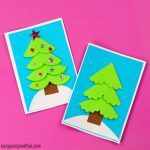 Kids making their own Christmas cards is also a very rewarding experience for them, they make a nice little card and they gift it to people important to them. 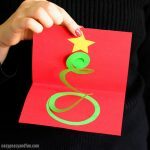 This process also encourages writing, as there’s noting better than to write your holiday wishes in a card you made. 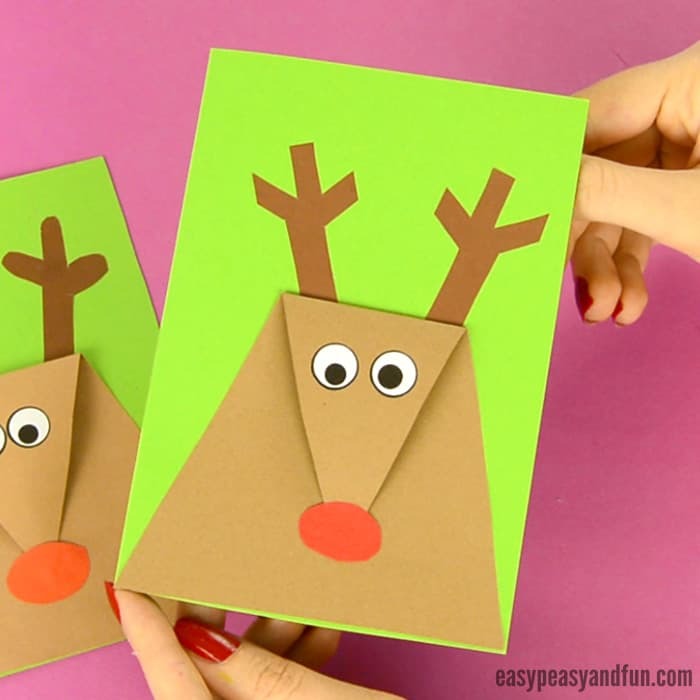 Rudolph the reindeer is one of our favorite Christmas characters, so we are kicking off this years collection of cards with the simplest ever reindeer Christmas card for kids to make! 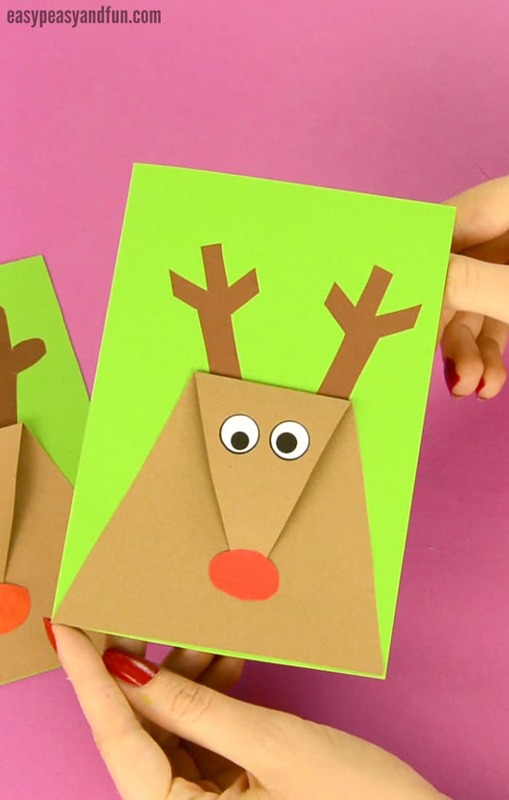 Just a few cuts and a bit of glue and you’ll have the nicest looking Christmas card ever! Glitter is always a welcomed addition, especially for the reindeer nose, to really make it shine. This is how we get our cards… First we fold the letter/A4 sized paper in half and cut it in half. Then we fold that half another time in half. 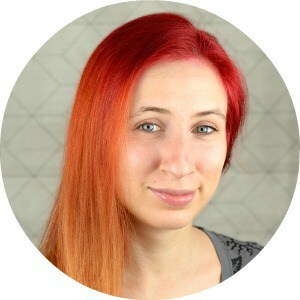 Small and cute. Make sure the folds are crisp. 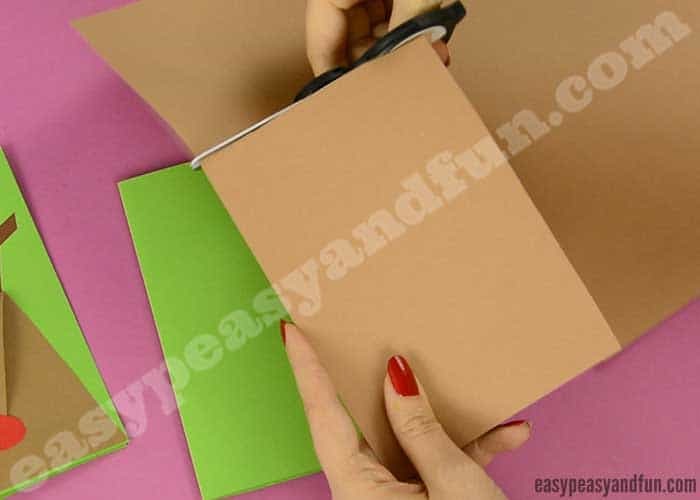 Now trace your card base on the brown paper. Cut out the rectangle. To make this easier – fold (don’t crease) the rectangle in half along it’s length. Gently crease on one end only, to mark the middle. Unfold. Now cut from the bottom of the rectangle to the middle you have marked. 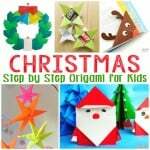 Take the top of the triangle and fold it down (not quite to the bottom). Apply glue on the bottom part of the triangle. And glue it on the card. Cut antlers out of darker brown construction paper. Glue them on the card. Apply a bit of glue on the tip of the triangle. Glue it to the body of the dear. You can leave the head a bit arched as it makes a nice little 3D effect. 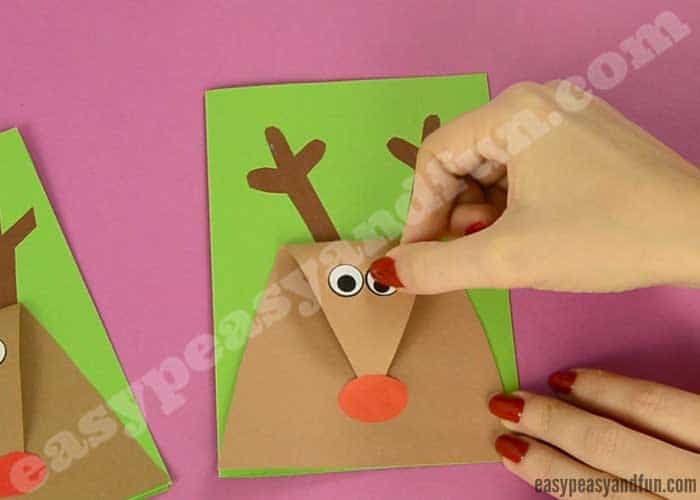 Cut a small circle out of red paper for the reindeer nose. Glue it on top of the “triangle tip”. 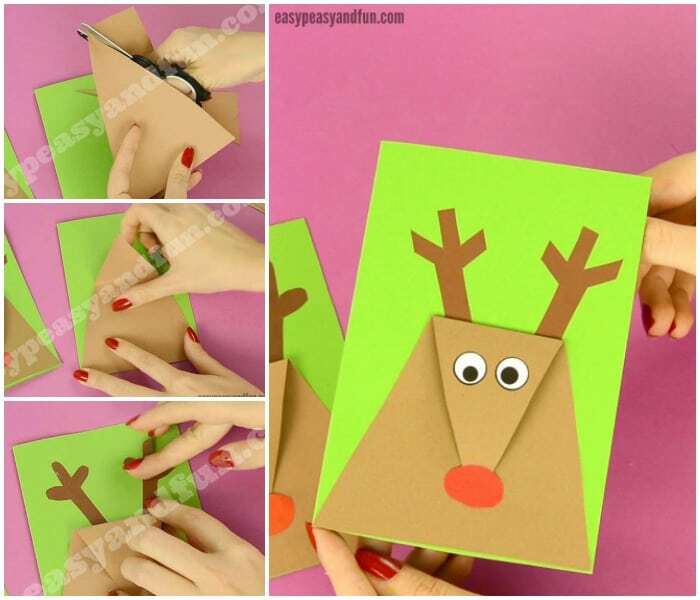 Add two wiggle eye stickers (or googly eyes, or draw the eyes) and your super simple reindeer Christmas card is complete.